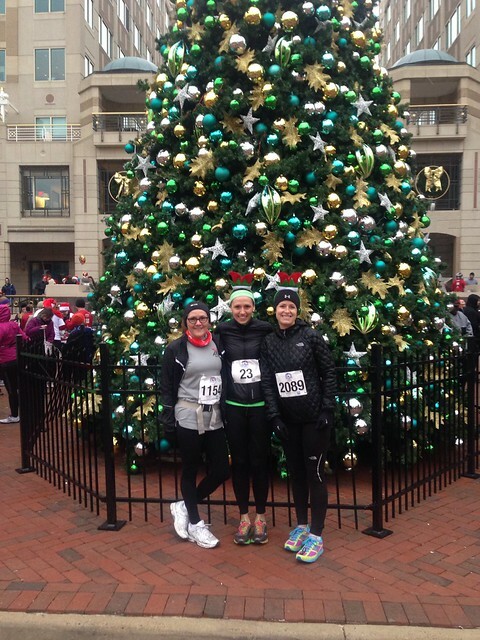 For the second year in a row I ran the Run with Santa 5k at the Reston Town Center. This year I ran it with my mom and running buddy-neighbor, Laura! 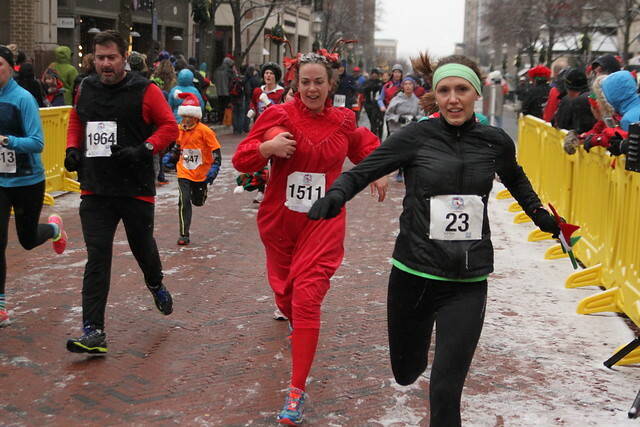 It was crazy cold for the beginning of December and actually snowed during the entire race! Luckily, the race was over before the snow really picked up. Unlucky for me, I actually headed to Oak Marr to coach my diving class early, because I am responsible like that, and Fairfax County ended up canceling weekend activities as soon as I arrived. Back to the run - Laura and I just stuck together, chatting for most of the race. 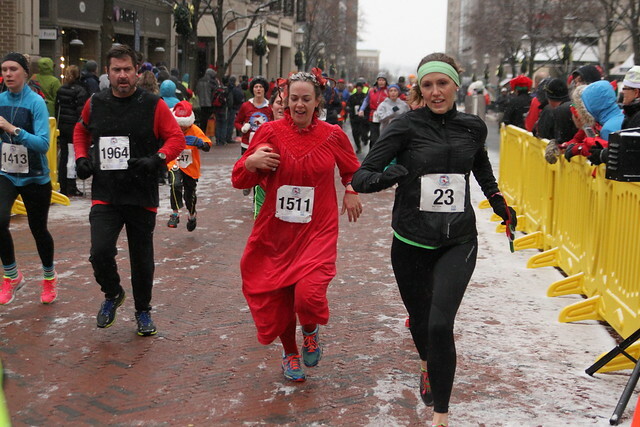 Unfortunately her hip was bothering her, so she didn't want to do our usual "sprint to the finish." The photos below are the ones that PRR caught of my finish!